Talented American actor, Harold Perrineau is a prominent character in the series, Lost. He is also known for several roles in popular Hollywood films and series. Perrineau started out as a dancer before he went into acting. The actor was first a dancer at the Alvin Ailey Company before the acting call took precedence in his life in subsequent years. There is so much to know about the America actor apart from his on-screen endeavors. Find out more about them below. He was born on August 7, 1963, to his parents; Harold Williams, his father and Sylvia Perrineau, his mother. Harrold’s parents were never married though they lived together. The actor often interchanged the different last names of his parents while growing up. He had opted to use his father’s last name, Williams. 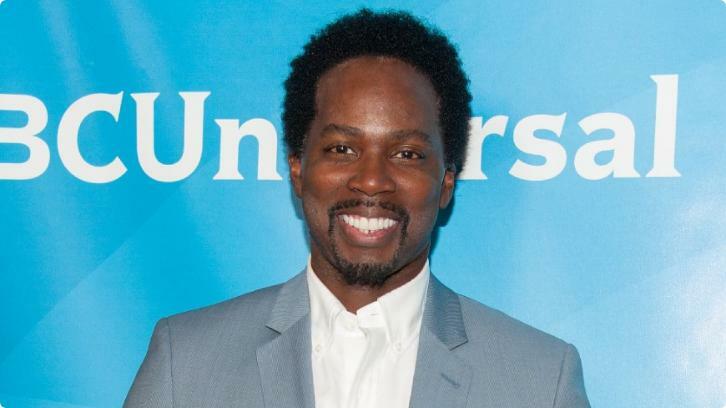 However, on joining the Screen Actors Guild (SAG) he discovered there was already a Harold Williams, he then took up his mother’s maiden name Perrineau. Harold Perrineau is an alumnus of Shenandoah University, Virginia, although he did not graduate from the school. Harold had dance training with the Alvin Ailey Company but later majored in acting. He starred as Tyrone Jackson in the stage adaptation of Fame in 1989 at the Walnut Street theatre in Pennsylvania. He rose to prominence after he starred as the wheelchair-dependent narrator on the popular HBO series Oz. Another prominent role of his was the character of Michael Dawson on ABC’s Lost. After filming the first two seasons of the series, Perrineau’s character was written off in season 3. But he made a brief appearance in the fourth and sixth seasons afterward. The actor then starred as Damon Pope in the fifth season of the hit series, Sons of Anarchy and also played the voice of the main character in Blade anime series by Marvel. He played a role in the 2010 horror film, 30 Days of Night: Dark Days alongside actors like Mia Kirshner, Rhys Coiro, Diora Baird, and many others. Harold Perrineau played the character of bass player Stevie in the comedy, Wedding Band from 2012 to 2013. He is also notable for his role in the series, Constantine as Manny an angelic messenger. Harold’s Broadway debut was when he played the character of Lopakhin in The Cherry Orchard adapted by Stephen Karam, which ran from September 2016 to December that same year. The year 2016 also saw the actor star in the legal series, Goliath. He became a cast of Star in 2018 in the third season where he played a father to Noah Brooks. Harold Perrineau may seem so entangled with his business but he is a family man who values his family so much. The actor is married to model and actress Brittany with whom he has three lovely daughters. Their first daughter, Aurora Perrineau was born in 1994; their second Wynter Aria was born in 2008, and the third was born in the year 2013. Like her husband, Brittany also starred on Lost but with guest appearances as she only appeared in a few episodes. More of her on-screen works include her role as Dara in Saving Face. She also appeared in the movie, Your Name Here. To think that Harold Perrineau is gay even after gushing over his beautiful family may sound uncommon though it has been speculated. Moreso, there have been no reports suggesting the idea. Harold and Brittany have been together since 2002 and there have been no reports of separation or anything of the sort. Perhaps it’s his controversial role as Mercutio in Baz Luhrmann’s Romeo + Juliet that suggested the idea. Perrineau has got the right body that suits his acting career. With his height of 5 feet 10 in, (1.79m), he effortlessly fits into his movie roles. He weighs a proportional 78kg (172 lbs) and stands out with his broad distinctive smile and dark hair color.